Great sleeping system that can be used with our lightweight tarps or as a stand alone shelter. 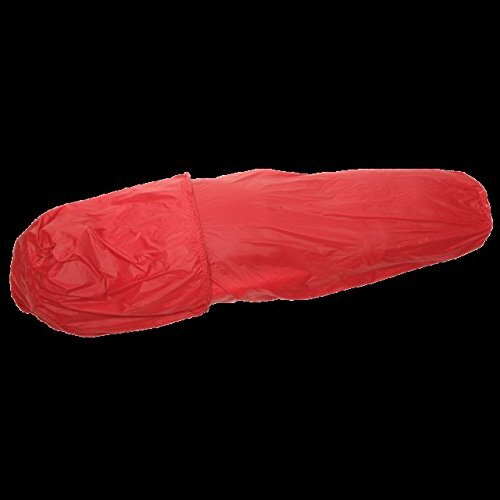 The Alpini Bivy Sack is designed to be lightweight and durable. Featuring two different fabrics; the top is made out of a highly breathable waterproof 15d nylon with 20,000 / 20,000 rating, the bottom is a durable waterproof breathable 40d nylon with a 10,000 / 10,000 rating. To increase the users comfort we added a zip open panel of No-See-Um netting across the users face.The Alpini Bivy Sack will work with any size Brooks Range sleeping bag and is also big enough for a lightweight air mattress to be used inside the bag. If you have any questions about this product by Brooks-Range Mountaineering Co, contact us by completing and submitting the form below. If you are looking for a specif part number, please include it with your message.